Lewis Freestone signs his Posh professional contract. Teenage Peterborough United left-back Lewis Freestone has today (March 10) joined St Albans of the National South League until the end of the season. 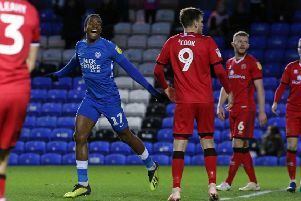 Freestone (17) signed a three-year professional contract at Posh recently. He has moved to the Saints on a youth loan and could feature in their squad to face Ebbsfleet tomorrow. Freestone is yet to make his Posh debut. He spent time on loan at Cambridge City earlier this season.